NEW YORK, New York – HARMAN’s Studer will be exhibiting at the Content and Communications World (CCW) Expo in New York City on November 13-14, showcasing its Vista 1 digital console, which is now available with VistaMix and Lexicon effects. Studer is also promoting the online version of its Studer Broadcast Academy. Instead of needing to manually adjust all the faders each time, VistaMix automatically mimics the action of a human operator so the 'talking' mic gain can be increased at lightning speed while reducing gain for all others — ensuring a clean balanced mix. Studer has added Lexicon effects to the Vista 1 console through an integrated VistaFX engine. VistaFX is a suite of effects processing engines capable of providing high-quality world-renowned Lexicon effects, and was released last year as an external engine for the Vista 5 and Vista 9 consoles ranges. The Vista 1 FX engines are all integral to the consoles DSP system, so require no external signal connection or patching. As all the hardware required already exists within the console, the new functionality is available as a software upgrade to existing consoles as well as provided as standard in new systems, and without loss of mix processing power or I/O capacity. In addition, Studer will be promoting the online edition of its Broadcast Academy training course at StuderBroadcastAcademy.com. The popular and informative training program has been previously held in the United States on the Soundcraft Studer mobile audio truck, which has visited numerous locations of Studer regional sale rep firms and flagship Studer customers in recent years. 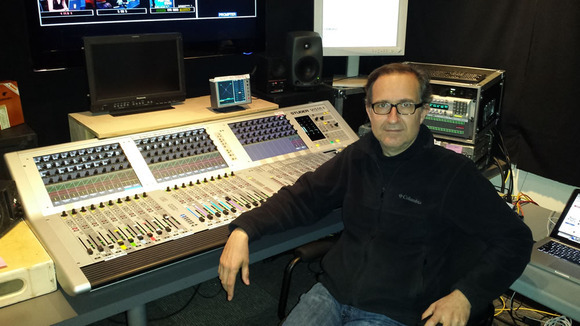 StuderBroadcastAcademy.com is an interactive online course for engineers worldwide to learn the operation of the company’s Vista Series digital mixing consoles. The course consists of a series of modules, which participants must complete and pass 100 percent to officially certify as a Studer Vista Operator. The course is structured in an interactive format and students can download the Virtual Vista software that gives them a graphic, active representation of a Vista console. Virtual Vista can also be used for offline console configuration and online remote control of Vista mixing consoles. Video segments, system and technical diagrams, a dictionary of terms and other resources round out the program.